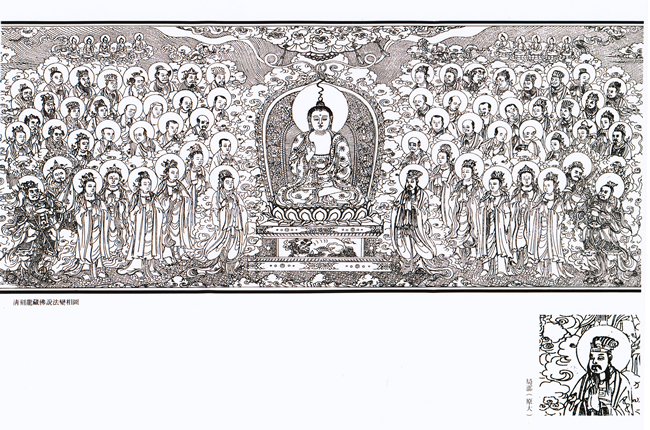 Upon the invitation of the Buddhist Association of China, a delegation of 20 representing the Buddhist community of Hong Kong, led by Venerables Yuen Wai and Chi Wai, visited China in March 1979. They were warmly welcomed by Mr Zhao Pochu, President of the Association and other prominent members of the Chinese Buddhist community. This visit was instrumental in opening up communication channels and establishing formal ties between the Buddhist communities of Hong Kong and Mainland. 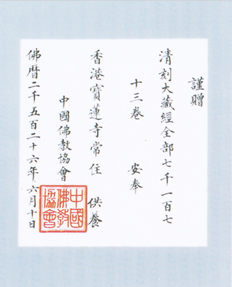 To mark the occasion, the Buddhist Association of China presented a set of Qianlong Tripitaka to Po Lin Monastery. 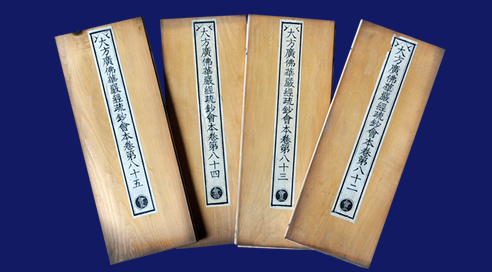 This set of canon, consisting scriptures of 7,173 volumes, was produced in Qing Dynasty in the period between Yongzheng 13th Year (1735 AD) and Qianlong 3rd Year (1738 AD). 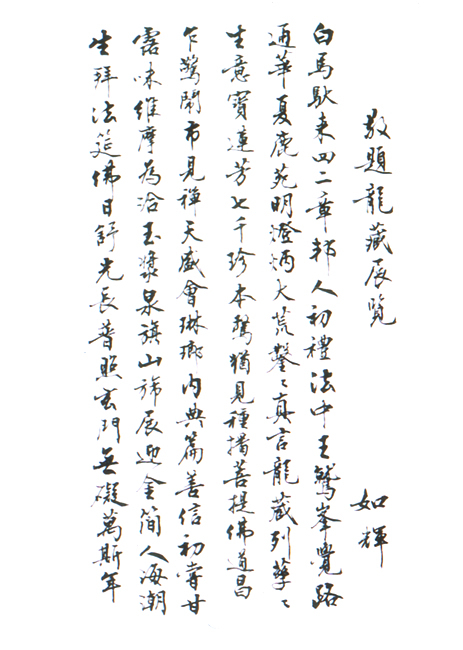 It was the only official publication of Tripitaka in Chinese in the Qing Dynasty, printed in no more than 150 copies, which were issued to major monastery in the country. 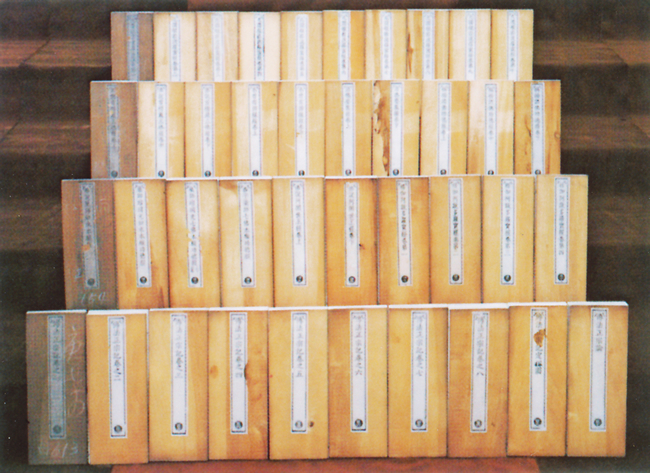 Qianlong Tripitaka is also the most complete and best preserved of the various versions of Chinese Tripitaka produced in various times. 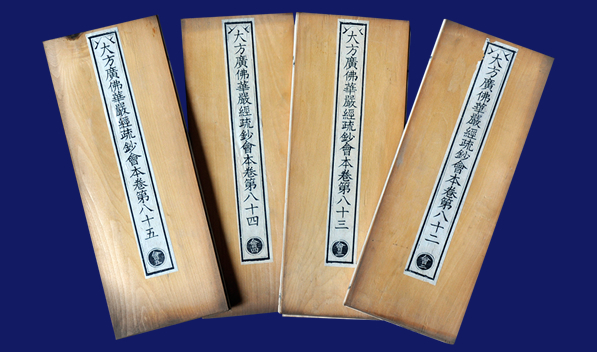 There are no more than thirty copies available all over the world today. 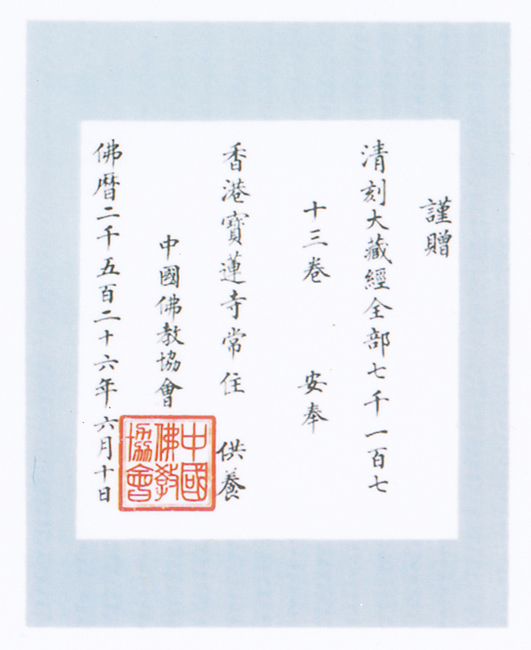 The present of the Qianlong Tripitaka from the Buddhist Association of China to the Buddhist order of Hong Kong was a major event in Hong Kong, bringing a 30-year long freeze in communication between the two places to an end. It is a major breakthrough, and its effect is significant and far-reaching. 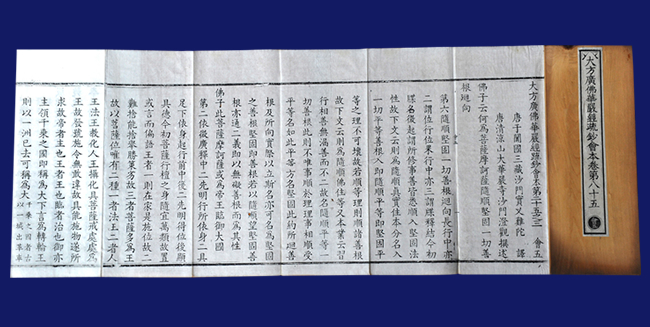 Since Qianlong Tripitaka was published at the time of Emperor Qianlong's reign in Qing Dynasty, it is also called Qing Tripitaka, being the only official publication of Chinese Tripitaka in the Qing Dynasty. 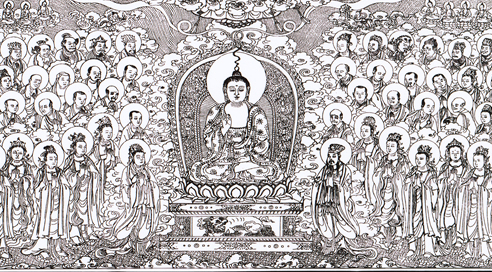 Qianlong Tripitaka consists of the three baskets of sutras (collections of Buddha's sayings and sermons), Vinaya (rules of the monastic orders) and abhidharma (the higher philosophy and commentaries) and other discussions comprising 1,672 Buddhist works. 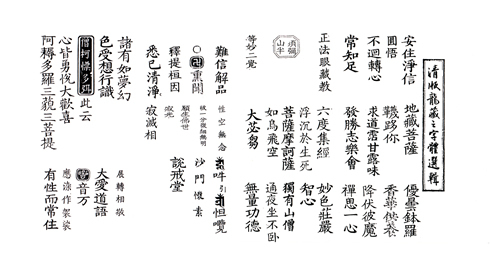 There are altogether 79,036 print blocks and the font size is the largest amongst all versions of Chinese Tripitaka.